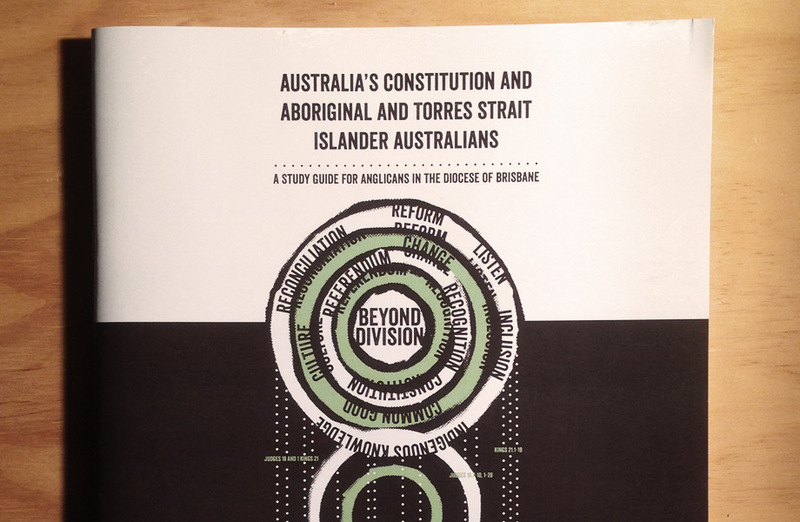 Anglicare was looking to collaborate on a strong and culturally appropriate visual identity for their study guide: Australia’s Constitution and Aboriginal and Torres Strait Islander Australians; A study Guide for Anglicans in the Diocese of Brisbane. We decided to bring the rhetoric to the fore in the graphic elements. The artwork represents two forms of knowledge meeting in a dialogue; relational and cyclical Indigenous Knowledge, and the linear form of Western knowledge. The circles represent an intervention, a decolonisation of Eurocentric western thinking.